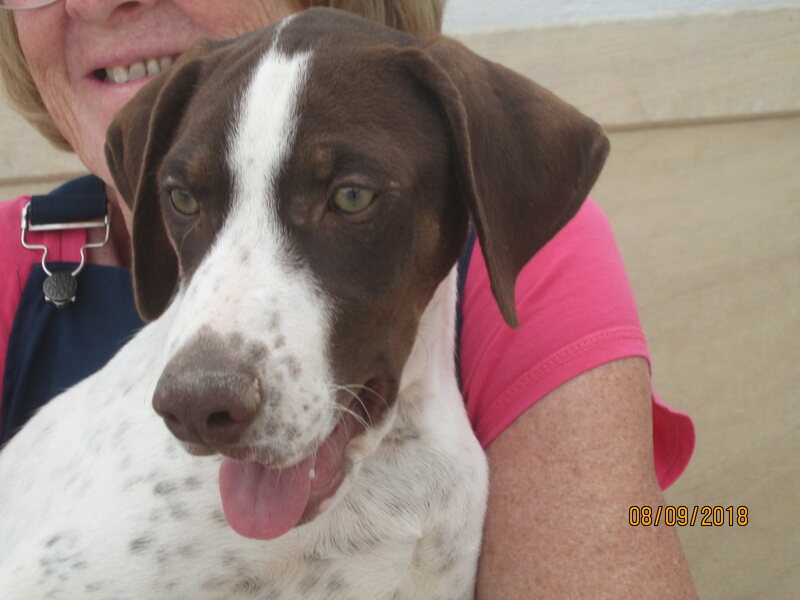 Logan is a lovely, friendly 4 month old Pointer cross Spaniel who was found with his three sisters Lill, Lottie & Lara – they were found in the Spanish countryside all on their own their mum was thought to have belonged to Spanish people in the village but nobody admitted to it they did try to catch her too but food bowls etc that were left for her were taken away which made them think she was someone’s dog who as usual did not want the puppies. So that is their history – meeting this lovely boy and his sisters I think they will be medium size maybe Springer Spaniel size – they are very outgoing friendly pups all of them with lovely characters and temperaments they have all the makings of being amazing family dogs, they mix well with the other dogs as you can see but will need training. They receive love here but unfortunately too many to receive any one to one training – the volunteers come once a week to help get them used to walking on the lead and they are doing well. 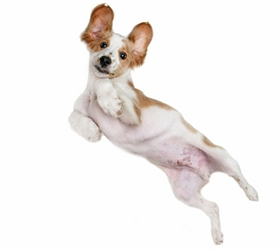 Watch the video and see their lovely natures – they need to go to people who have the time to put into them regarding training, exercise etc they like many of the dogs I meet have all the makings of having a wonderful future with people who have the time to put into them.